Restful sleep is vital for experiencing health, healing, resilience and overall well-being and peace of mind. The practice of iRest helps you ease into deep states of relaxation that support falling asleep and obtaining restful sleep. 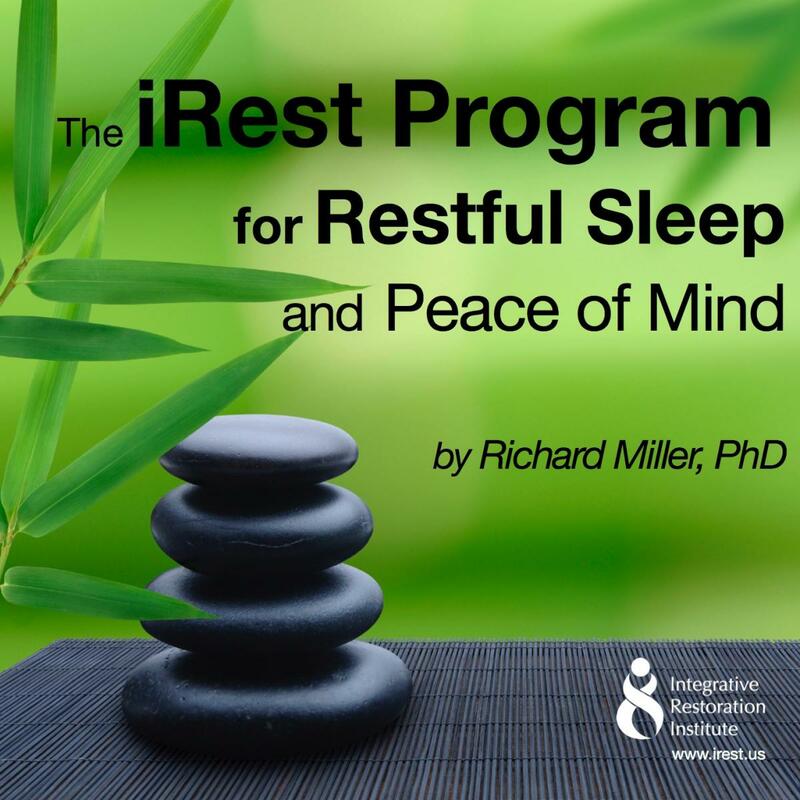 At night, use the iRest Program for Restful Sleep to learn how to fall asleep easily and quickly. If you wake in the middle of the night, you can use then use iRest to help you fall asleep again. Imagine something that you could easily take that would increase your alertness and creativity; reduce your stress; improve your perception, stamina, and motor skills; help you make better decisions; keep you looking younger; help you lose weight; reduce your risk of having a heart attack; decrease depression and elevate your mood; strengthen your memory; help with chronic pain; and increase your overall resiliency and well-being. Surprisingly, this miracle drug is a daily nap. iRest “naps” can help you fall into short periods of restful sleep and awaken refreshed and ready for the rest of your day, and promote your overall health, healing, resiliency and well-being. The following two practices are wonderful ways to learn how to take a restful nap, or fall asleep and get back to sleep if you awaken in the night. By engaging these practices over time, you nourish routines that support peace of mind, and enable your body and mind to easily fall into deep, restful sleep. Your single, and especially recurring donations, small or large, are vital to moving our mission forward. Every dollar you give will help people relieve pain and suffering. As the iRest Institute is a 501(c)(3) educational nonprofit organization (EIN: 20-4607268), your gift is fully tax deductible.